You sit in pitch darkness. A hole above slowly opens, casting your surroundings in pale blue. Your eyes adjust. You’re inside a cramped, transparent vessel. The sound of machinery whirrs to life, and you start to ascend through the opening. The hole closes. Suddenly, you’re speeding along the ocean floor. Luminescent creatures flicker across the windows, and you hear a soft thumping. You turn one of the vessel’s knobs, and sound fills your ears . . . These days, house music is typically known for its maximalism, polished production, and dedication to lifting listeners into a state of euphoria at the expense of all else. There are various artists that would rather hone in on the experimental elements, musicality, and opt for a subtler approach to the genre. We Have To Go is the newest release from Moscow’s Alexey Devyanin under one of his many monikers, Computer Graphics. Devyanin has worked within a plethora of genres as Pixelord, but his focus is narrowed to an incredibly refined species of lo-fi house on this record. 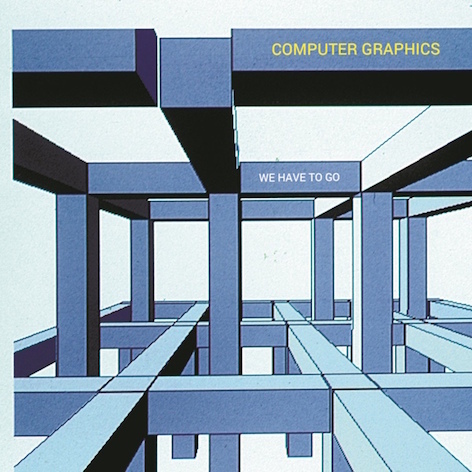 The first half of the album consists of Computer Graphics originals that explore the ocean floor with softly melodic, aqueous house, while the second half contains a selection of psychedelic title track remixes from diverse worlds of talent; two different, but equally compelling journeys. These compositions are easy to find oneself lost in, as they possess entrancing, unimposing qualities that can loop forever without wearing out their welcome. The synergy between Devyanin and his featured guests is palpable, allowing the record to be pleasantly experienced as either two separate entities or one communal, expansive adventure. If you’re seeking experimental lo-fi house, this album is for you.